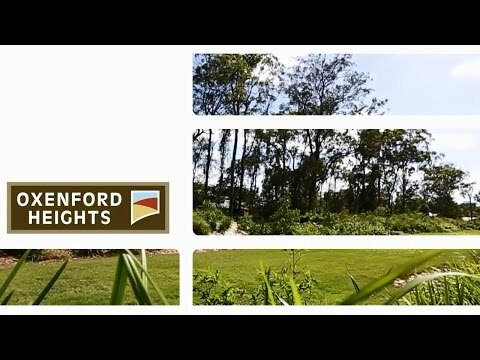 * OXENFORD HEIGHTS has been built for families who like privacy, space and quality. * Being elevated and facing north, both lots enjoy a sunny aspect and gentle north breezes in the summer. * Views from both lots look to the east and north - best aspect available when building. * Opposite park and natural bushland - great space for kids and pets to play. * 5 minutes to the train station, Westfield Shopping Centre and medical/dentist centres. * 100m to the park and skate park. * Covenants are moderate allowing for timber construction and split levels if required. For more information contact Agents at Coomera Realty either by phone or email.